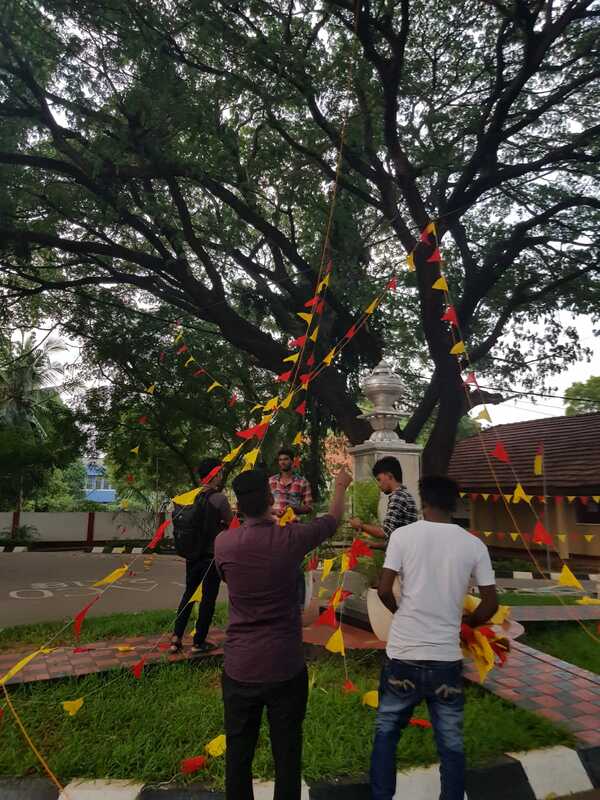 Jaffna University students embarked on their final preparations for Maaveerar Naal, the Tamil national remembrance day for fallen fighters, today. Red and yellow flags marking Tamil national colours where hung across the campus, with the university's Maaveerar monument receiving fresh coats of paint and a newly constructed entrance gate. The miniature entrance gate which was newly erected for this year's event, resembles the towering entrance gates of the Liberation Tamil Tigers of Tamil Eelam (LTTE) cemeteries, which were bulldozed by Sri Lankan forces at the end of the armed conflict. Faculties across the university helped with the preparations throughout the day with the arts students directing and making the final arrangements. 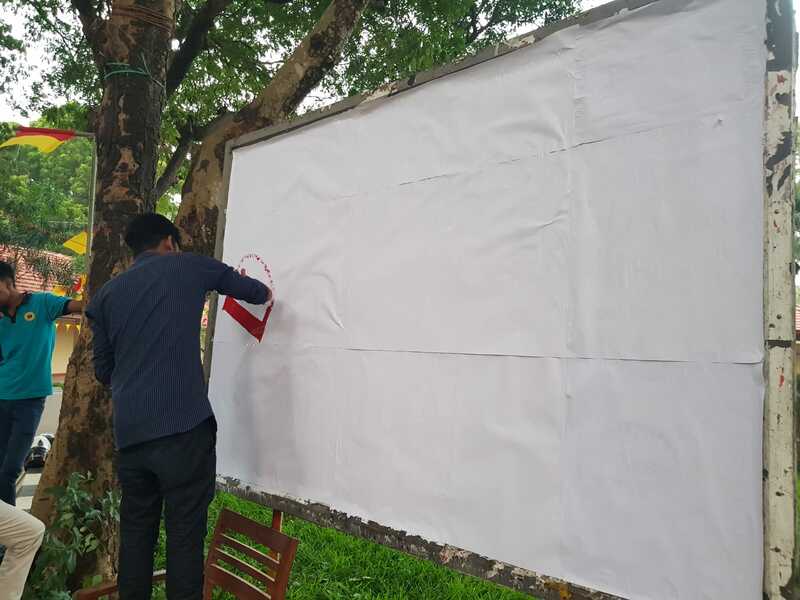 “Even if we get no jobs after graduating with this hopeless situation in the North, at least we can use our inspiration to better these memorial events,” one student from the arts faculty said as he directed another painting a section of the wall. As well as being former LTTE cadres, these people were also our brothers, sisters, uncles or neighbours. They were all people from our community that went to fight for the rights of the Tamil people. Whoever they were and whoever was against them, they ultimately fought for our rights. For this we remember them. “When you look at Sri Lanka as a whole; the Sinhalese JVP also had their own militant movement, that fought against the government for an ideology they believed in. After the JVP militant resurrection was defeated, they were allowed to form a political party and their cadres were allowed to be remembered as heroes by those that want to. As well as families of those that lost loved ones during the armed conflict, Vinthan is one of many young Tamils that will be attending the remembrance events across the North-East.